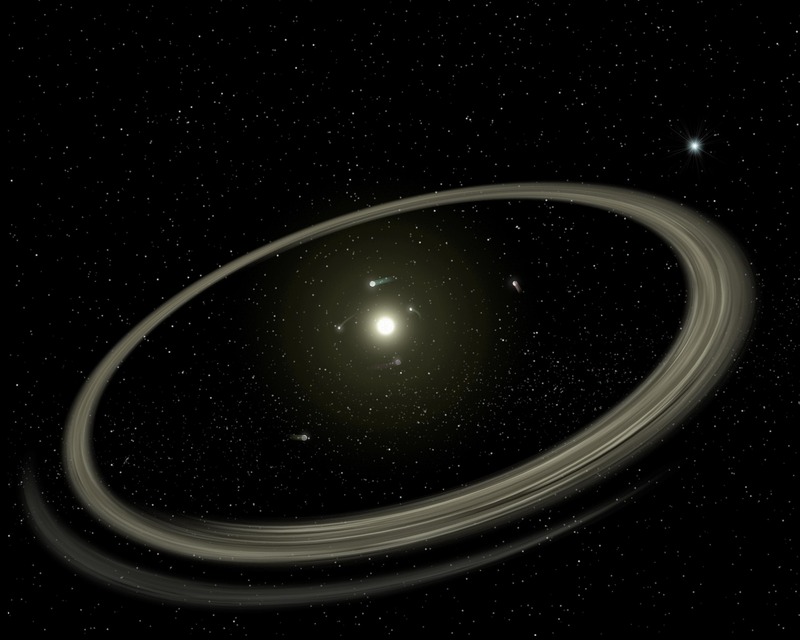 For centuries, the solar system was viewed as a standard blueprint for planetary systems in the universe, with a star (our sun) at the center of a circular track, and a planet orbiting within each lane. Smaller, rockier planets fill the interior lanes, and larger gas giants orbit further out. But over the last 20 years, more powerful telescopes have revealed, far from our solar system, a host of exotic systems with completely unexpected configurations. "Hot Jupiters," for example, are massive "roaster" planets that circle scorchingly close to their stars. Scientists have puzzled over how these gas giants, which supposedly form far from their stars, end up on such blistering orbits. Now an even weirder planetary system may render the puzzle more challenging. Using NASA's Spitzer Space Telescope, scientists from MIT, the Space Telescope Science Institute, the University of California at Santa Cruz, and elsewhere have observed an exoplanet by the name of HD 80606 b. This planet is about the size of Jupiter, though four times as massive, and resides in a system 190 light years from Earth, in the constellation Ursa Major. "If the Earth were to be moved that close to our sun, it wouldn't take long for it to lose its atmosphere and turn its surface to magma," says Julien de Wit, a postdoc in MIT's Department of Earth, Atmospheric and Planetary Sciences. In a paper published today in Astrophysical Journal Letters, de Wit and his colleagues report on observations of HD 80606 b over 85 hours, during its closest approach to its star. The researchers have studied how the planet's temperature changes as it approaches, sweeps by, and moves away from its star. They determined that while the star-facing side of the planet boils up to an extreme 1,400 kelvins (roughly 2,000 degrees Fahrenheit) during the swingby, these roasting temperatures are short-lived. Surprisingly, they found that the planet cools in fewer than 10 hours as it orbits away, reaching temperatures so cold that it becomes invisible to Spitzer for the rest of its orbit. "This happens every 111 days," de Wit says. "The good thing is, the planet goes so far away that the process is a complete reset. It's the same story over and over again." It's thought that hot Jupiters start out in circular orbits similar to that of our own Jupiter, far away from their stars. At some point, something large and massive like a nearby star pushes them into eccentric orbits. These planets are then squeezed by their stars' gravity every time they whip close by. During every close encounter, a fraction of the gravitational energy used to squeeze the planets is dissipated as heat, slowly reducing the eccentricity of the planets' orbits, which eventually end up tight and circular — a process known as circularization. HD 80606 b, therefore, is thought to be mid-migration, slowing moving from an elliptical to a circular track. How long the circularization phase lasts depends on how "squishy" or pliable the planet is, given its interior properties. 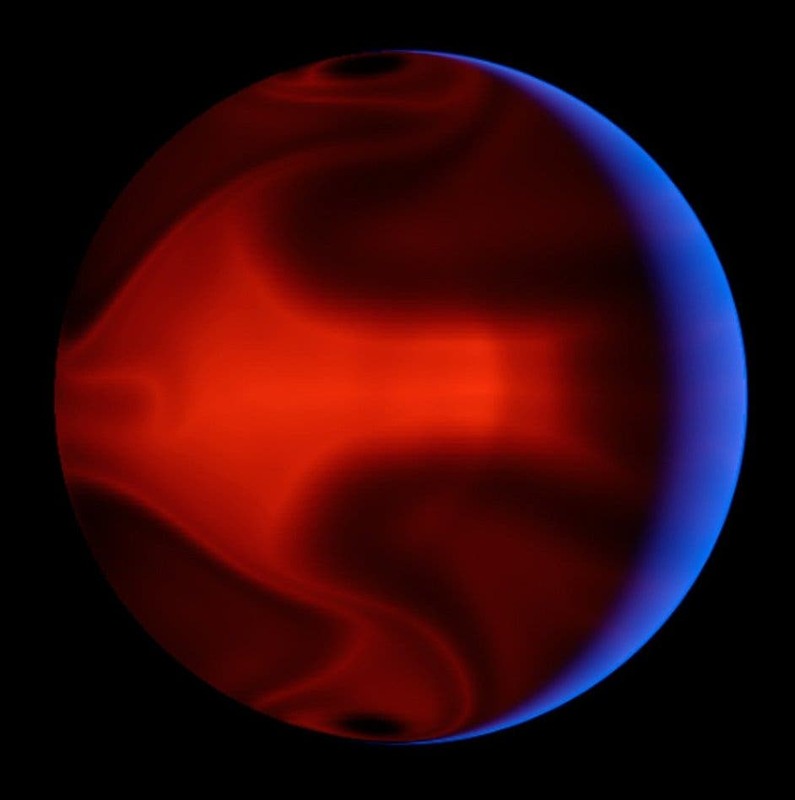 The more pliable a planet, the better it is at dissipating mechanical energy as heat — a trick anyone can experience by repeatedly squeezing a rubber ball, which in turn heats up the ball. Based on the squishiness of the giants in our solar system, the circularization phase is expected to occur over a relatively short period of hundreds of millions of years. Scientists believe this mechanism might explain how hot Jupiters eventually evolved their close-in orbits. The researchers also calculated the planet's rotation rate — the first exoplanet rotation rate ever obtained. HD 80606 b's rotation rate, essentially the length of its day, is estimated to be 90 hours, which is twice as long as predicted for this planet. "This system is undoubtedly very unique as it seems to challenge in many ways our understanding of planet-star interactions and planet formation," de Wit says. "Hopefully, future studies of similar systems will help us evaluate how special this system is and how far off our initial theories were."